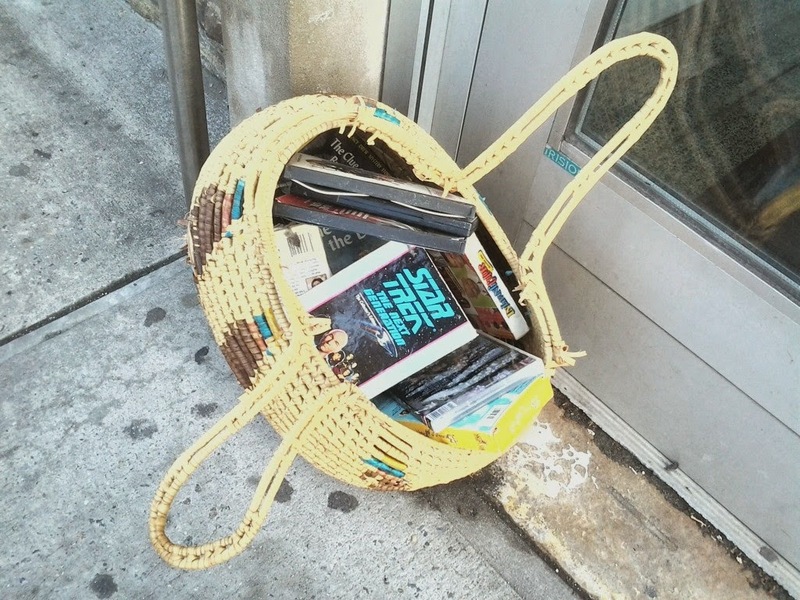 Got to work this morning and a pretty basket full of Star Trek DVDs and other interesting things (now wet with dew - at least, I hope that's dew) was waiting by the front door. Thanks for the donation, random Brooklynite. And please, never do this again. That's a good thing right? I feel sad if the dvds are water damaged.